GTO5355 | Full-range amplifier for your car audio system. Full-range amplifier for your car audio system. The JBL® GTO5355 full-range amplifier can wield a formidable 75 watts per channel through four channels, plus 360 watts through a fifth. But don’t worry about all that power making anything overheat; the GTO5355 has an aluminum heatsink to keep it under control. 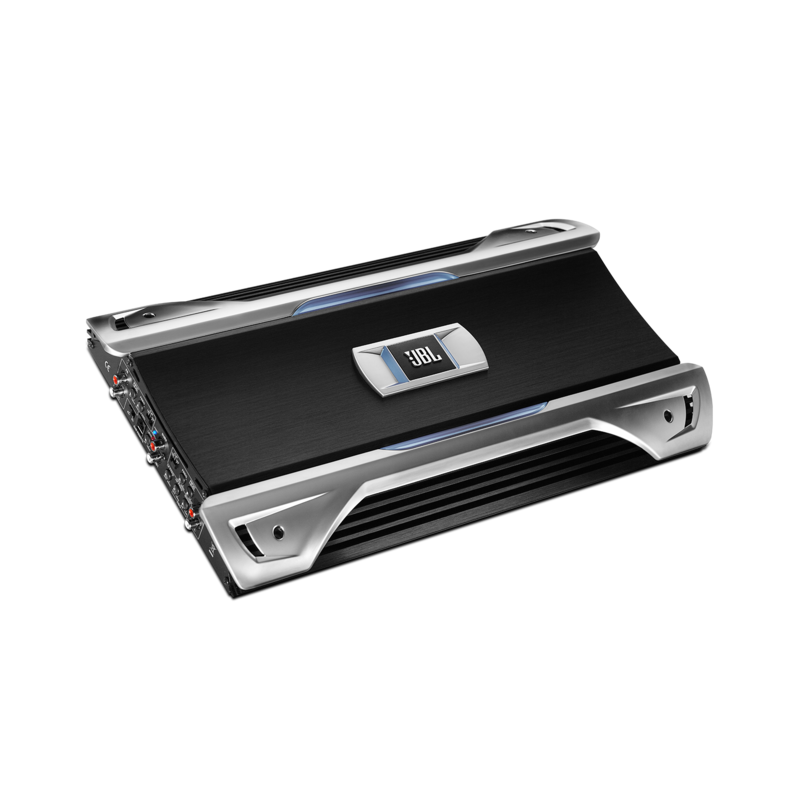 The JBL® GTO5355 has a 12-decibel-per-octave electronic crossover – variable from 32Hz to 320Hz – that lets you optimize your car audio system’s tuning based on the system’s components and their location. The transition from bass to higher frequencies is under your command. For drivers who want to control the power of their car audio system’s lowest tones, the JBL® GTO5355 offers a bass-boost control. Adjust the bass by up to 12 decibels – or leave it alone. The choice and the power are all yours. For a truly immersive audio experience that makes you feel like you’re on stage with your favorite musicians, two channels or even four aren’t enough. The JBL® GTO5355 offers four full-range channels plus one devoted strictly to bass tones. The GTO5355’s full-range channels have a 10Hz to 83kHz frequency response stretching above, through and below the range of human hearing. Its low-frequency channel concentrates on the 20Hz to 250Hz range. From symphonies to rap, there’s no sound that the GTO5355 can’t handle. The JBL® GTO5355 is a great way to boost the power of your car audio system. It’s a compact, 660-watt, five-channel, full-range amplifier with variable electronic crossover and bass boost. 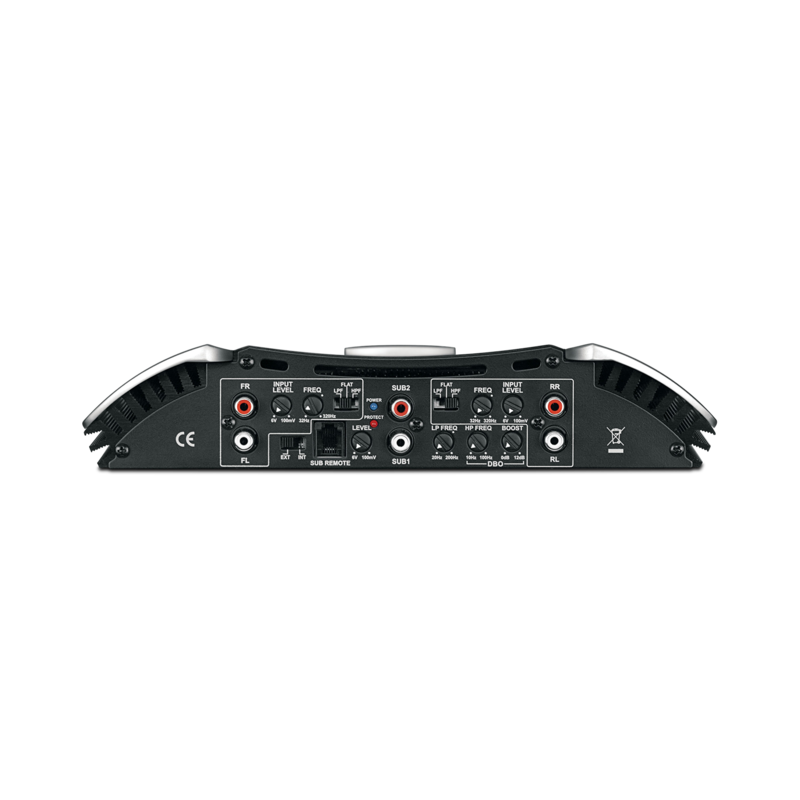 It’s engineered for optimum power delivery into numerous impedances with low distortion. It has an aluminum heatsink for improved thermal performance. Its frequency response is exceptionally wide. 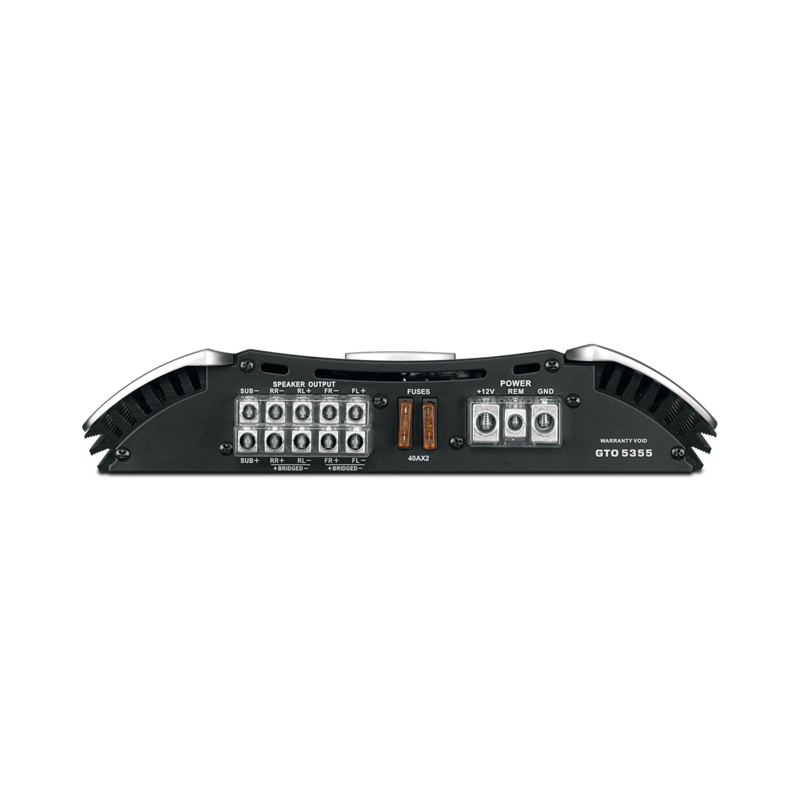 And it comes with a 12-decibels-per-octave electronic crossover that lets you optimize tuning based on speaker location and accompanying loudspeaker components. Want more power? Just add a pair of JBL GTO Series loudspeakers.